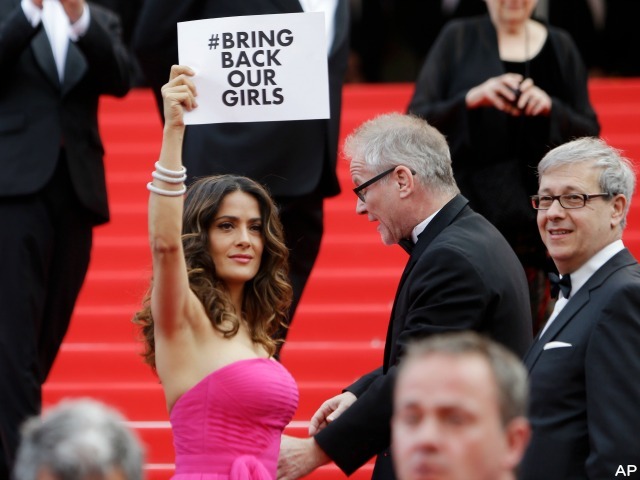 CANNES, France, May 18 (UPI) — Actress Salma Hayek got a little political Saturday on the red carpet at the Cannes Film Festival, holding up a sign in support of more than 200 kidnapped Nigerian girls. The schoolgirls were abducted April 15 by Boko Haram, and since then the girls’ families have criticized the Nigerian government for failing to dedicate sufficient resources to find the missing girls. The incident inspired a #bringbackourgirls Twitter campaign to which political figures and celebrities alike have added their support, and the latest is Hayek. She held up a sign with the #bringbackourgirls hashtag while walking the red carpet for the premiere of the animated film The Prophet. “It’s rare. 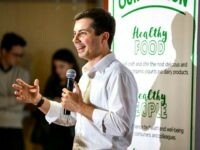 But clearly this is happening all over the world and was a personal impulse,” she said.